Escape the cold dark winter days and fly south to jungle paradise with Wisconsin Public Radio and experience “pura vida” in sun-soaked Costa Rica. On this ten night tropical expedition, you’ll discover a vibrant land unlike any other. Despite its diminutive size, Costa Rica boasts greater biodiversity than all of Europe and North America. Over 850 species of birds have been identified here, and more butterflies than on the entire continent of Africa. 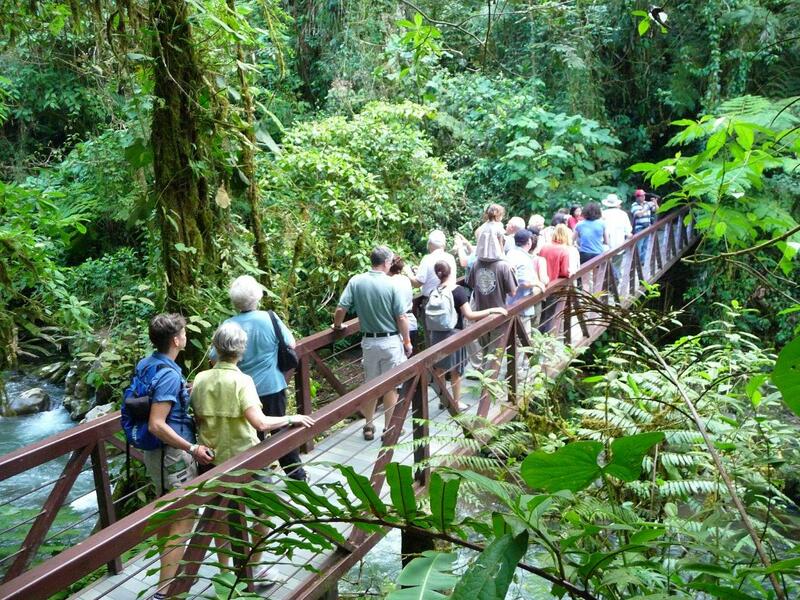 Enjoy visits to colorful botanical gardens, explore lush jungles, stroll the shores of starlit beaches and view an abundance of exotic wildlife from a bridge that gently suspends you in the mist of the Cloud Forest canopy. Sultry breezes, tropical gardens, and colorful birds are all part of the exuberant pura vida (“pure life”) of Costa Rica. Experience it for yourself when you reserve, but don’t wait--space in paradise is limited.